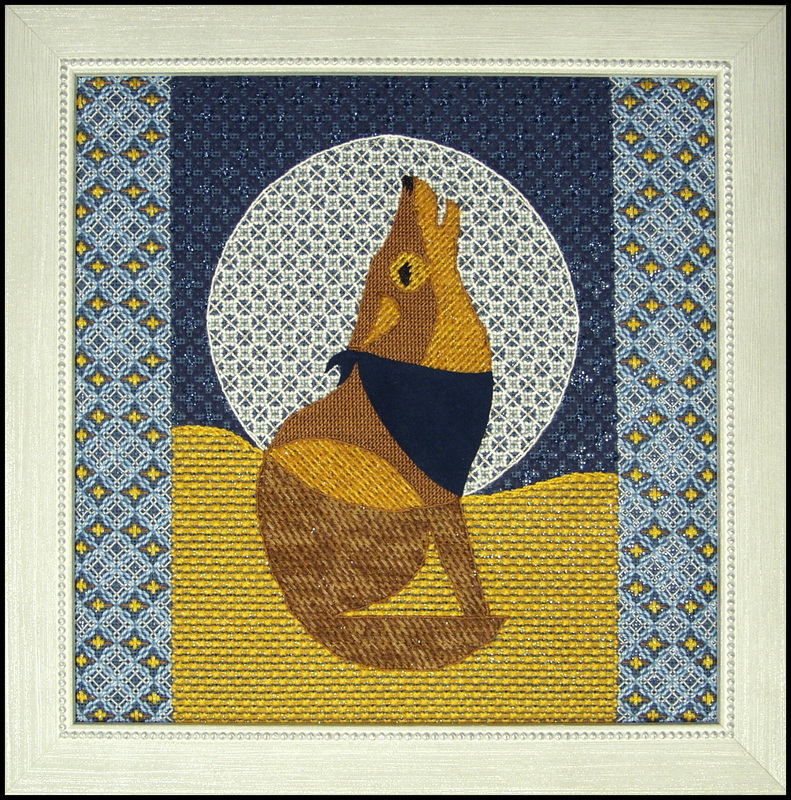 Coyote Concerto is the second design that Ann has adapted from the charming work of graphic artist Eleanor Grosch. Eleanor’s abstract interpretations of wildlife tend to remind one of Charley Harper’s unique style but they never met. Because she was trained as a graphic artist rather than as a representational wildlife artist like Charley, she appreciates the additional textures and patterns that Ann adds to her designs. In addition to the striking border and background treatments in this southwestern landscape, Ann created two original variations for the shading of the animal’s fur.